Rattan Lal is soft spoken, having the voice and demeanor of a pediatrician rather than someone who has lectured around the world and worked with international leaders, including presidents in Bangladesh and Iceland and former Vice President Al Gore. The preemininent scientist is as understated as the topic he has studied for more than 50 years: soil. Lal’s humility likely stems from his background. Growing up Hindu in what is now Pakistan, he and his family had to leave their homeland when he was only 5. They resettled as refugees in northern India, about 100 miles north of Delhi, in a village without electricity. There, his family worked a small, one-and-a-half acre lot, which dwarfed the expansive farm they had before the move. On their farm, Lal helped raise wheat, chickpeas, rice, and sugarcane. With frequent droughts and brutally hot temperatures, Lal soon realized that soil can play a critical role in being a buffer against harsh conditions by holding onto water and nutrients. “Farmers could survive even in bad years, but that survival really depended on the health of the soil,” Lal said. Even while in college, Lal spent summers working on the family farm and tending to their cattle. To attend college, he moved in with his aunt, who lived in Ludhiana, northwest of his home, where an agricultural university was being established with the help of Ohio State. With no electricity in the house, Lal often sat under the public streetlights from about 2 a.m. to 7 a.m. and studied there until he left to start another day of classes. His intense drive to succeed then, and perhaps even now, stems from the pressure to do well because his family had helped support him in school. 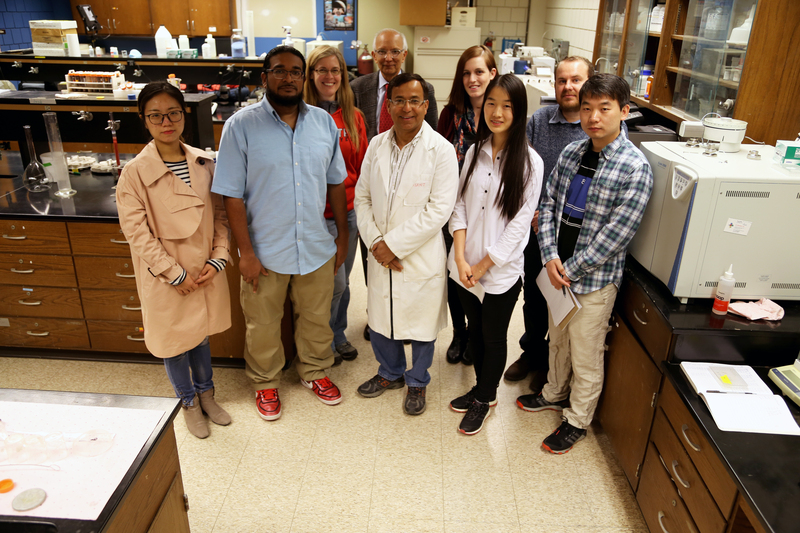 Upon graduating with his bachelor’s and master’s degrees in India, a professor who had received an Ohio State doctoral degree in soil science took notice of Lal and encouraged him to pursue graduate studies in Columbus. At first, the idea seemed far-fetched. How would he afford to even fly to the United States? But he was given a scholarship from the Punjab, India government for travel as well as funding from Ohio State as a graduate assistant, so he boarded a plane for the first time and moved to Ohio. He graduated from the College of Food, Agricultural, and Environmental Sciences (CFAES) in 1968 with his doctorate in soils. The youngest in his family, Lal had the chance to go to school. His older brother and sister ran the farm and the household once their mother died when they were all young. His siblings didn’t even have the option of learning how to read and write. Lal made the most of his chance, receiving awards for the highest grade point average both when he graduated from high school and with his bachelor’s degree. The way Lal sees it, the difference between his experience and that of his siblings or other refugees is that he was offered opportunities unavailable to them. “Anyone would have done at least as well as I did, given the same opportunities I was given,” he said. A prolific author, Lal has published hundreds of journal articles on everything from soil ecosystems and effects of tillage systems to global food security and sequestering carbon in the soil. He was in the top 1 percent of highly cited agricultural researchers for three years running and was awarded the Atlas Award for the best paper among 1,800 journals in 2016. His soils research has resulted in honorary doctorates from universities in five countries: India, Norway, Moldova, Germany and Spain. Lal was also named one of 2014’s most influential scientists in the world. Today, he is not only a Distinguished University Professor of Soil Science, but also serves as director of the CFAES Carbon Management and Sequestration Center. Here’s how: Plants take in carbon dioxide from the atmosphere, incorporating carbon into the plant and the soil through photosynthesis. Acting as a sponge, soil can remove carbon dioxide from the atmosphere, where levels have continued to rise, and place that carbon where it’s needed most, in the ground. The more carbon in the soil, the more fertile a home for growing plants. Agricultural practices can either help or hinder the soil’s ability to take in carbon from the atmosphere, Lal pointed out. When a farmer refrains from tilling the soil, carbon is held in the soil and kept from being released as a gas into the air, which occurs when soil is plowed. When the growing season is over, planting cover crops can hold the soil and carbon within it, in place, preventing erosion from wind or rain. After crops are harvested, allowing crop residue such as drying stalks and stems to disintegrate into the soil enriches the ground with additional carbon. All these restorative agriculture practices enable soil to function as part of the solution to removing carbon from the atmosphere in the face of ever-rising carbon dioxide levels and the resulting warming of the planet. Carbon in soil can also play a key role in holding onto other nutrients including nitrogen and phosphorus, keeping them from seeping into surface water and triggering harmful algal blooms in lakes and streams. The recurring problem of algal blooms in Lake Erie, caused primarily by rainwater running off fields treated with fertilizer, can be improved by healthy soil, Lal pointed out. Soil rich in carbon holds on to nitrogen and phosphorus, keeping them from running off. “But without a sufficient amount of carbon in the soil, the soil doesn’t have the capacity to hold nutrients and water while also filtering pollutants,” he said. Lal isn't sure of his age, but based on a school teacher's guess when he was a child, he estimates he is 74. 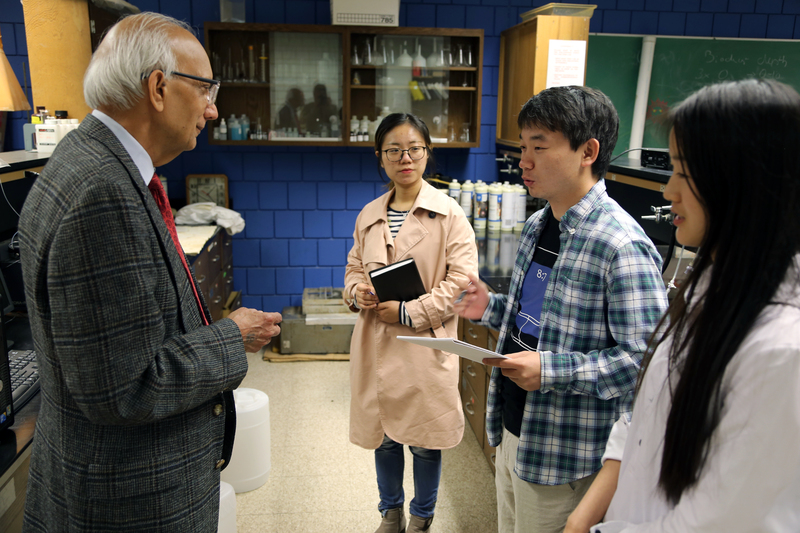 When asked what he considers his primary contributions to soil science, Lal first references the many graduate students who have worked in his lab, the postdocs, the visiting scholars, all spread across the world. He will acknowledge the support of Ohio State; of the college he works in; and of his current and past staff, lab assistants, lab technicians, his office manager. He will praise all their hard work, and then he will talk about his work connecting soil to removing carbon in the atmosphere. Perhaps that’s what defines him, that overriding sense of humility and gratitude for others, for what he has, for what he’s been given. 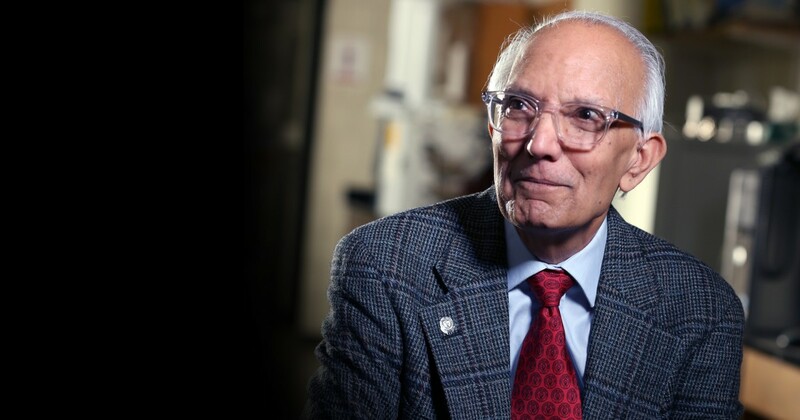 Though Lal has been awarded honorary doctoral degrees from universities across the globe and was named one of 2014’s most influential scientists in the world, he remains ever aware of the Hindu proverb: When a tree bears a lot of fruit, its branches hang low.